Pin Oak Service Center knows you need your heavy truck to work as hard as you do. Our experience in delivering quality, diesel truck service and repairs is the reason so many in Manheim & Central PA turn to Pin Oak to keep their diesel trucks running strong. 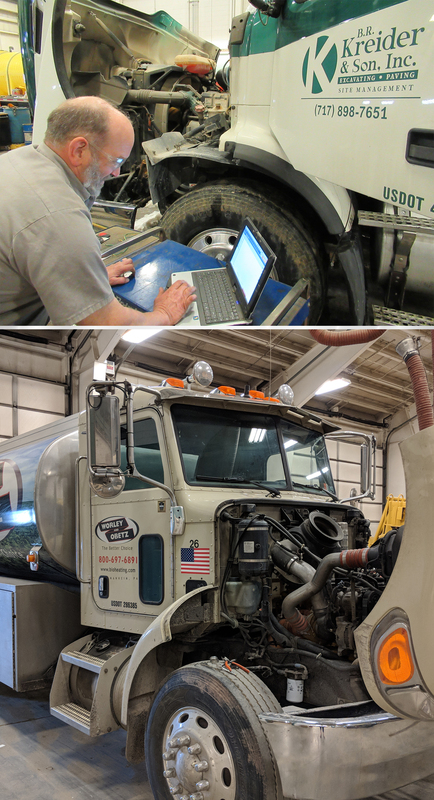 Preventative maintenance – we keep your truck running. As a subsidiary of B.R. Kreider & Son, we do all of the maintenance and repairs on the B.R. Kreider vehicles. We know the importance of keeping your fleet on the road and we have the experience to get your trucks back on the road quickly. With dedicated fleet teams who are experienced working with Peterbilt, Mack, Freightliner and more, we’ll be able to get you on the road quicker and keep you hauling longer.